So, you have a passion for photography and squishy little newborns. Maybe you have done a few sessions for friends and family. Perhaps you have gotten some attention and are starting to think, where do I start if I really want to do this thing? Well, we are here to help you! We have been in the business for 9+ years, and we think we have nailed down all the props you need to start producing some amazing and professional images every client will love. First and foremost, the one thing to remember is baby first and props last. It is important to have a variety of items to match any beautiful baby that comes through your door. Second thing to remember before purchasing your essentials, is safety. The safety of the newborn is priority and you should make sure they are safe and snuggly no matter what prop you use. Here are the 5 different types of props you need to look professional, no matter what theme you are trying to capture. Have a few of each item, and you can hit the ground running! In the beginning it is always worth it to go simple with your props, and make sure you can change your items between boy and girl until you can find your style. Simple is always better for that timeless look. 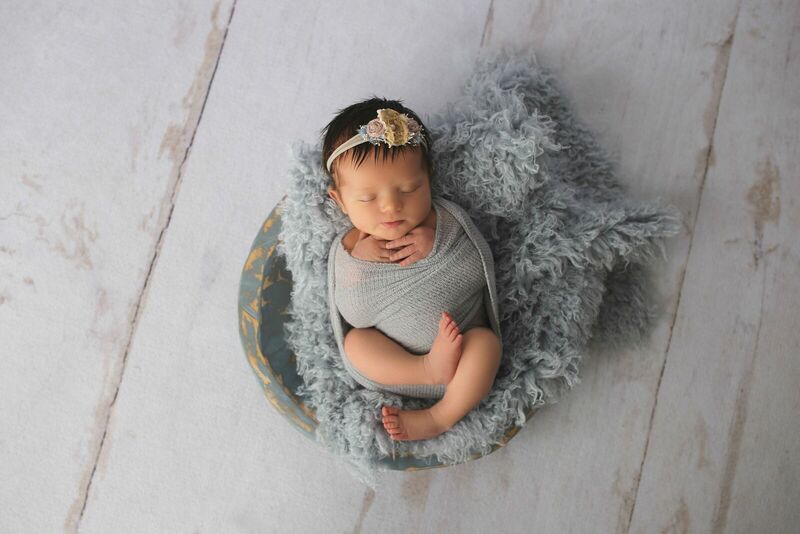 The number one must have for any newborn photographer is an assortment of furs, blankets and posing cloths. They are the base and foundation of any setup you want to achieve. Shiny or sheen blankets are a no-no. Instead, go for a variety of textures and colors. Making sure the prop is ok for baby is a must. We recommend vegan furs, they are the best for baby, and not scratchy like animal furs. Getting the right fabric blanket is important as well. You want the infant to be in a comforting embrace and not irritated. These are a must have for any starting newborn photographer. Bean bags and posing cushions are a great and easy tool to use for the most novice of photographers. 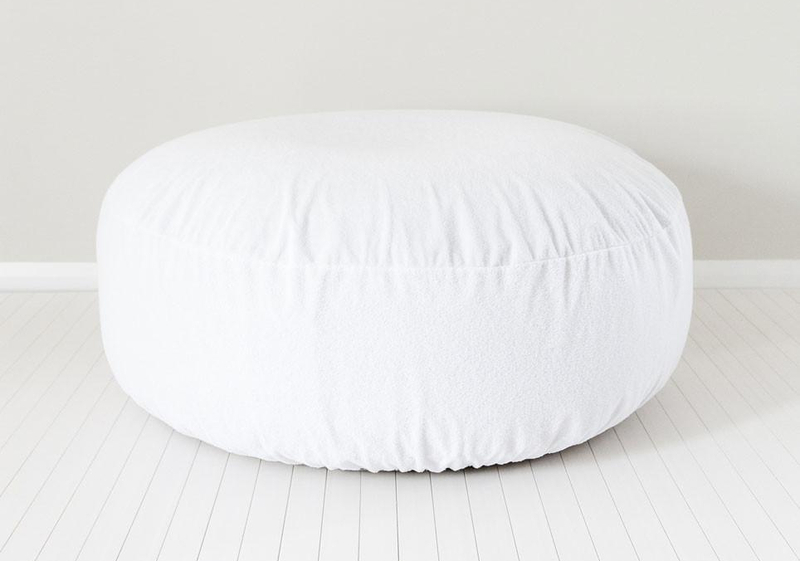 Despite using blankets and pillows around the house, bean bags are extremely versatile and you can mold and shape them in which ever way you need. It is also a great prop to use if you are having trouble settling a baby down. It is important not to get your everyday bean bag as an alternative, that would not be safe for baby. 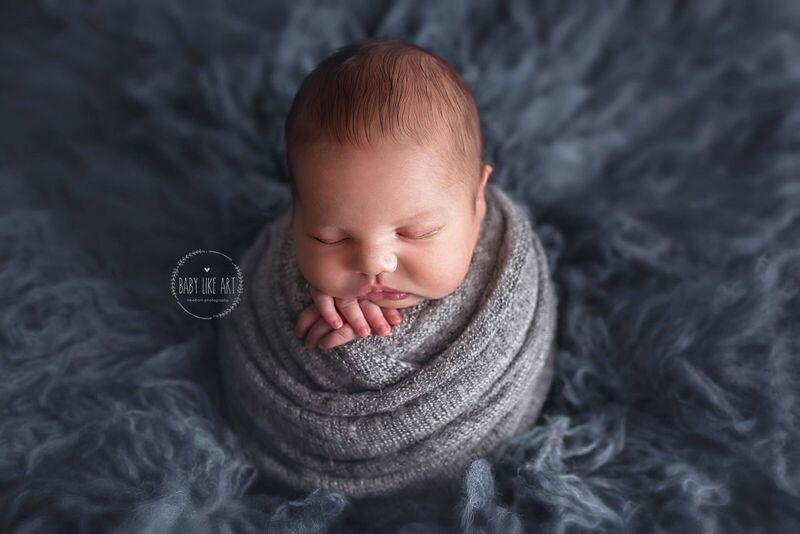 It is best to invest in a beanbag or posing cushion that is made specifically for newborn photography. When you are working with newborns, pretty much anything you use will be adorable. With that being said, you want to pick props that you can place a newborn in comfortably and safely. The best options are wide bowls, baskets or buckets when first starting out. 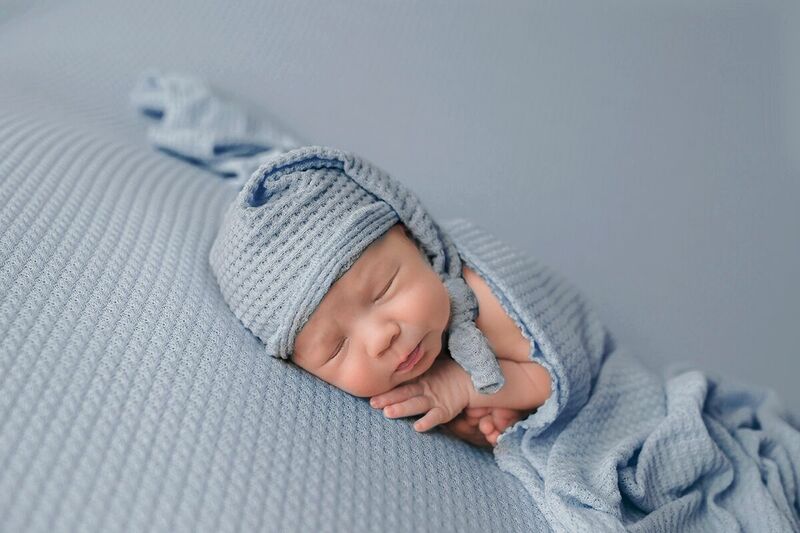 Line with a great fur or blanket, and you have a great shot of your sleepy newborn. Important safety tip, use weights to weigh down your prop to keep baby safe and secure. The best are simple ankle weights, so they can lie flat and can have layers easily over them. Probably one of the most important props for any newborn photographer is a swaddle wrap. Wrapping a newborn for photos helps to soothe the little one so you can get the best images, even if they are still awake. When purchasing wraps, it is important to get a variety of textures and colors to help add dimension to any setup you have. 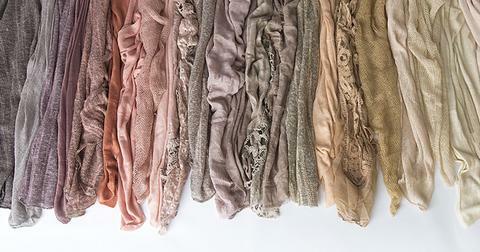 When you purchase wraps with gorgeous detail, they can double as great layering pieces as well. More bang for your buck! You also want a swaddle with a nice stretch for the length and width. It makes swaddling a lot easier, especially if you are a beginner. Get swaddles in a variety of lengths. This will help you achieve different types of swaddles once you get more comfortable swaddling the baby. Another must have is a Newborn Swaddling Assistant. These little sacks are a game changer for even the most experiences photographers. 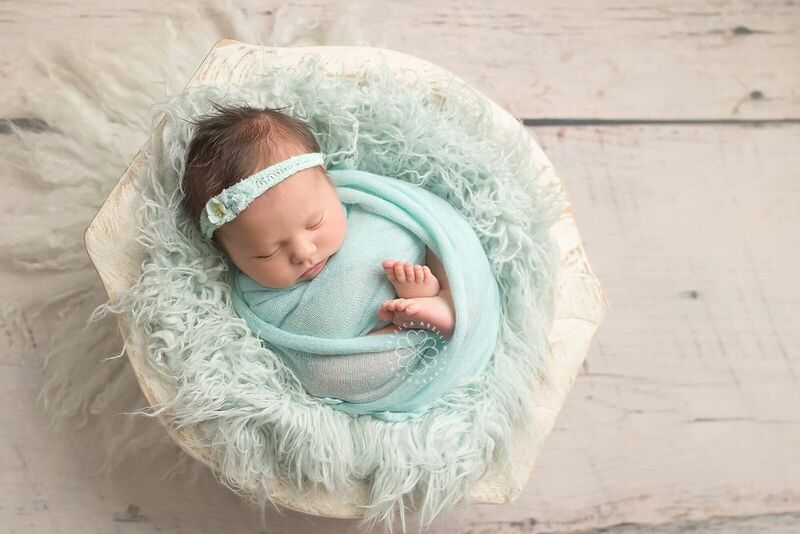 A newborn swaddling assistant helps put any fussy little newborn to sleep instantly, and keeps those squirmy legs and feet in place so you can achieve the perfect swaddle every time! 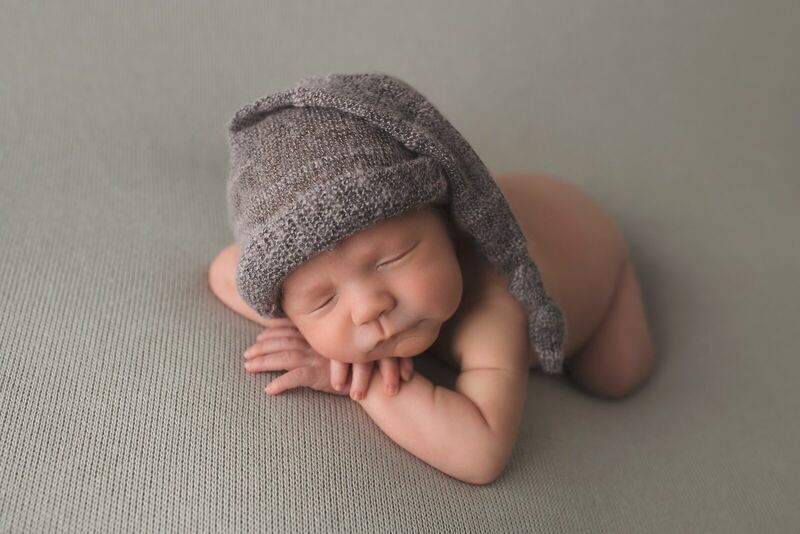 Every newborn photographer uses hats and headbands, for good reason. A hat or headband can be the centerpiece of a simple setup or can add that last finishing touch to an extravagant look. Hats are a great way to either add dimension or create a theme. I little nautical theme would not be the same without a knit captain’s hat. The most important thing to remember about hats and headbands is to purchase items made from natural material that will not irritate the baby. You may deal with a little fuss putting something on their head as it is, let alone if it is a rough material on the babies head. Comment below. What other props do you think are essential to a budding newborn photographer.